How to Get Twitter Account Verified – Did you ever come across the small blue tick beside the name of any page or account on twitter? Well, that sign is because of twitter verification. Twitter Page Verification has created quite the hype in recent time and you might be wondering why is this so? 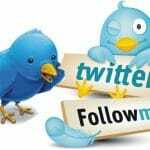 Here, you will get the best answers and get to know How to get twitter profile verified in simple steps. If you want to enjoy the tremendous amount of legitimacy, credibility and influence over twitter then twitter verification is the must for you. As the verified twitter accounts are considered better than those of unverified, therefore it becomes more important for business oriented twitter account to get verified. If you are not having a verified twitter page for your company then you should get it done today. 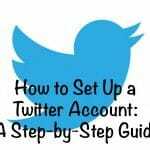 We will help you out in exactly how to get Twitter account verified. 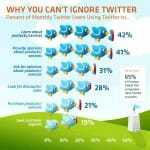 Why is it important to get twitter page verified? The whole point of twitter verification is to provide the authenticity to your account. People around the world who are using twitter gets to know that they are dealing with a real and original account. Through verifications, other users will believe your claims or whatever you represent. The one main benefits of verification are of course the truth that comes with it to your account or page. Verification helps your followers or users to immediately identify what is real and what’s not or which tweet is genuine. It adds accountability and stability to your profile. Now here, are the simple steps that you need to follow in order to get your twitter page account verified without any difficulty. But before that, there are certain things you need to keep in mind before going for verification. The amount of follower that account has does not determine the factor that whether the account is verified or not. You will not get the blue badge on the basis of your followers. Even if you get the verified and also get the blue badge that does not mean you will get rid of duplicate accounts. The only difference between you and those will be the blue checkmark and that will make you original. Involvement and engagement of the followers on the verified account will take the time you need to be patient. It entirely depends on twitter to provide verification and only twitter can decide who gets the verification. Therefore, you have to do your best to get your account verified. Go to the twitter verify account link and make a click on the continue button. As you will be asked to confirm the account which you are verifying, you have to click on the check mark. 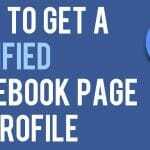 Now you will be needed to prove that your page is worthy to get check marks. Thus, now you need to provide the 5 links to the twitter in the boxes. Within the limit of 500 characters you have to convince twitter to verify your account and why you should get verified. After completing the above step, now you need to upload your ID. At last, you have to wait for the response from the twitter. Twitter might take 7-14 days to process your verification request. Once you get the response from their end and get the blue checkmark you need to follow all the directions provided by the twitter. By following those directions, within some minutes you will get the checkmark at your page. We hope you got all the answers you were seeking with the help of this post. Verify your account and get enjoy the benefits out of it. Once your account is verified make sure that you follow all the rules of twitter otherwise, you can lose your verification. Work on keeping your verification by working ethically on your account.